A wave of heroes arrive in Gotham City in this one-shot with hopes of helping stem the tide of chaos threatening to overwhelm everybody! Starring Huntress, Batgirl, Misfit, Ragman, Manhunter and many others. Will these heroes succeed or will they be victims of Gotham Citys madness? And if they do succeed, what does the future hold for them? 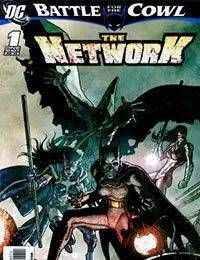 In this issue members of Batmans extended Network, including The Birds Of Prey , Batgirl and The Ragman, are trying to stop three kidnapping victems from being killed as part of a casino game run by Hugo Strange.